The rags to riches story of Orphan Annie has been a favourite in our home (and many others) for a long time. We have both the old and new version often on repeat and love to sing along to those classic infectious songs of “Tomorrow” and “Hard knock Life”! As a child I loved musicals and Annie, with her red hair and optimism was an absolute classic! Whether it was the story itself or the fact I shared my life with redheaded bossy sisters that was the thing that drew us to it, it was without a doubt something we watched a lot and the music, even now brings me a lot of joy to hear. As a parent I have loved singing along to it again and again whilst doing house work and watching it with my own kids snuggled on the sofa. We are all (except Nathan it would appear) Annie fans, and last night, Ethan, Megan and I had an amazing night at Hull New theatre where we saw (and thoroughly enjoyed) the sensational stage musical Annie! Fresh from the West End, and set in 1930s New York during The Great Depression, it is the story of brave young orphan Annie and her journey to find her family (incase you have been living under a rock and have never heard of Annie!). Forced to live a life of misery and tyranny at Miss Hannigan’s orphanage, she survives through friendship and plenty of optimism, and the occasional break out! But, her luck soon changes though when she is chosen to spend a fairytale Christmas with world famous billionaire, Oliver Warbucks. The show was brilliant from start to finish and opened with the old time favourite (and Ethan and Megan’s personal favourite of the night) – “Hard knock life” – It was incredible. It was high spirited and just so so good (it gave me goosebumps)! Kids and adults alike were in awe of the talent of the kids on stage, their singing and dancing was amazing and the entire company brought so much spirit and flair to the stage. 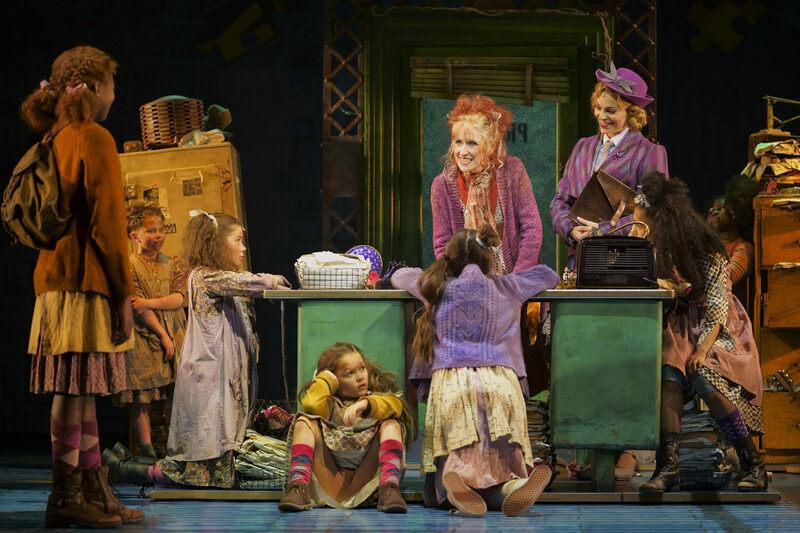 Playing Miss Hannigan – Anita Dobson was hilariously brilliant, and her costumes, singing and whole stage presence reflected Miss Hannigan down to a T and had us all in stitches. We loved her scenes and her interactions with the other characters were done wonderfully and with a lot of humour. Megan especially loved her “Little girls” performance, which was so funny. 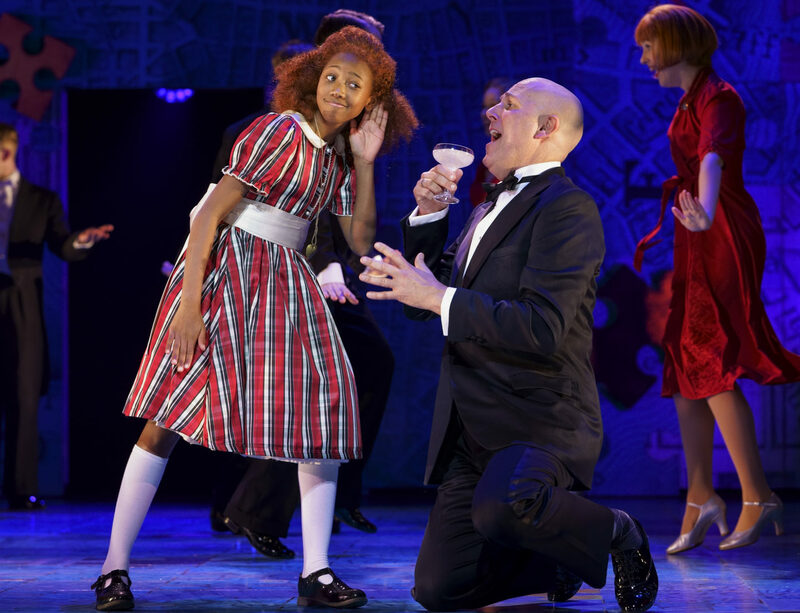 The whole cast is highly talented and pro, and Alex Bourne (Daddy Warbucks) and Taziva- Faye Katsande (last nights Annie) were wonderful together. Carolyn Maitland who plays Grace was fab too, with an absolutely stunning voice that I could have listened to for hours more. 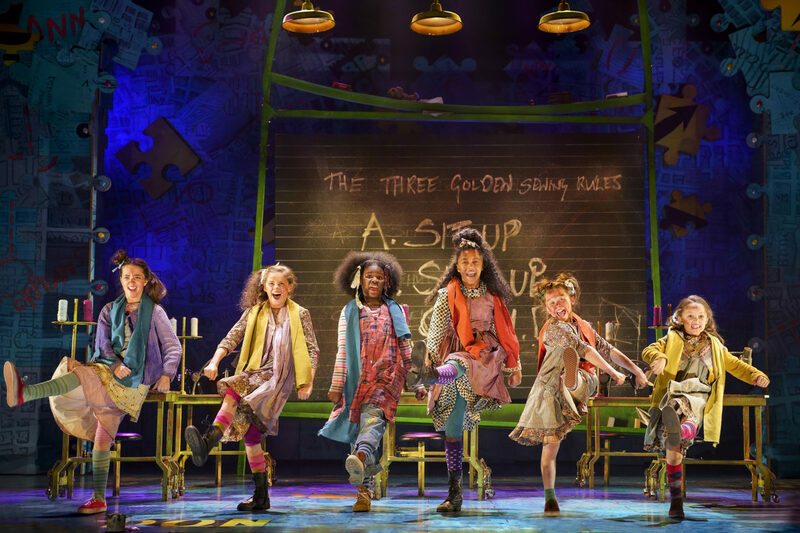 Annie is such a feel good musical and we were blown away with how amazing this stage rendition was. Last night will certainly go down as one of my favourite evenings so far with my kids. It was joyful, moving and the unforgettable songs of It’s The Hard-Knock Life, Easy Street, I Don’t Need Anything But You and Tomorrow filled my heart with nostalgia and happiness. Each song was performed wonderfully and kids in the cast were spectacular. It was beautiful and fun, and we found it to be a heart warming, funny and feel good play that left us singing with a hop and skip all the way home!! An exciting extra too was that Sandy was played by a real dog, and his appearance throughout it stirred many hearts and “ahhhhhh’s” across the audience. The kids loved this part too and was a topic of conversation on the way home through sleepy eyes! Aside from asking when the interval was because they were desperate for a lemonade with specifically 2 ice cubes, Annie had them wide eyed, open jawed and laughing all night long. The stage set was created in a quirky and adaptable way, and according to Ethan has somewhere in the region of 49 lights!!! The whole company are incredibly talented and we thoroughly enjoyed soaking up these old time favourite songs and the story of the cheeky and exuberant redhead, Annie! 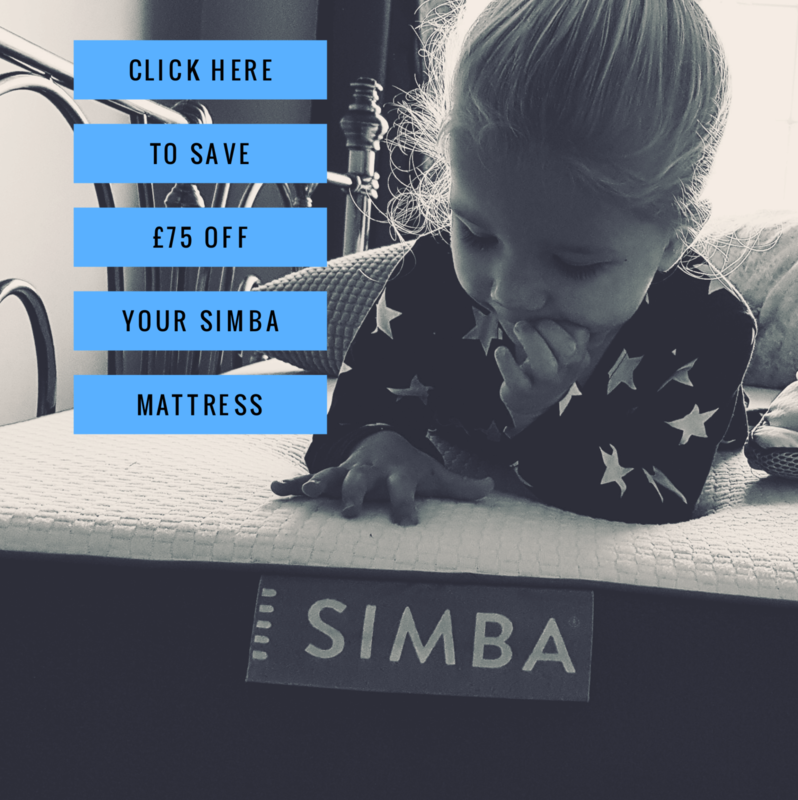 I would highly recommend you catch a show whilst it’s here in Yorkshire, because like me and the kids, you can bet your bottom dollar that you’ll love it! Annie is at Hull New Theatre from 1st April to 6th April. There will be a signed performance on 3rd April at 7.30pm. Book at the Hull City Hall Box Office, call 01482 300 306 or visit www.hulltheatres.co.uk to book online. *Thanks so much once again to Hull New Theatre for inviting us a long to review this. Next Post Leopard Print Trousers – My New Love!